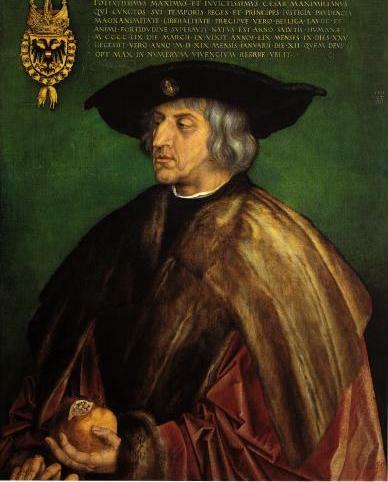 Is this German Emperor "Noric" (Maximilian I)? 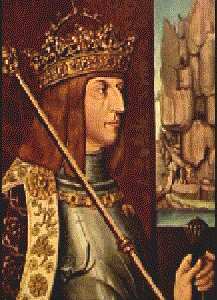 Thread: Is this German Emperor "Noric" (Maximilian I)? Re: Is this German Emperor "Noric"? Even though his nose is deviated, I think there is no doubt that this dude is Dinaric. Same visible in his children too. Danubian, Southern Germany somwhere most likely. Yes, Dinaric--however, Nordgau asked if he was Noric which of course most of us understand to be a Dinaricized Nordic (Nordicized Dinaric). Given that he is portrayed with fair/reddish hair and also a strong Nordic chin, I will have to answer 'yes', he is, in my opinion, Noric. I wish he'd have taken off his hat when he was being painted so we could now analyze his crainial morphology. Yes, exactly my thoughts. Predominantly Dinaric, but fair, and the Dinaric facial morphology is altered, he has more delicate features, and is a little rugged, too. There might be some Borreby in him. I still think that there are quite a few Dinarics who are of Borreby/Atl.Med ancestry, not Alpine/Med. He's Dinaric.Dinarics can be fair.If his hair was really blond than yes he's a Noric. Politician: "I Accuse" Green Party of "Genocide of the German People"
Hundreds of Billions Paid out in German "Compensation" Programs for NS "Crimes"